The unit is used for refining gold alloys using aqua regia; minimum obtainable purity is 999.5/1000 The units are modular to reduce eventual costs if production increases; Pyrex glass is used as it the only material that absorb precious metals. 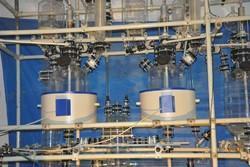 It also facilitates the cleaning operations of the reactors and condensers. We are noted as the foremost manufacturer and supplier of extensive Metal Refinery Machines. These machines are well manufactured to provide better efficiency in terms of pollution control, recovery of precious metals and faster. Further, the machines offered by us are made under the profound guidance of our quality inspectors. Pyrex glass is used as it the only material that absorb precious metals. 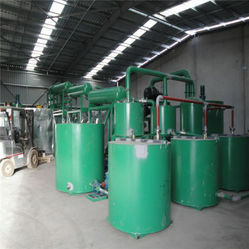 It also facilitates the cleaning operations of the reactors and condensers.